We were born in South Africa and came to Australia in 1998 with 3 young children. In 2008 we moved to Kangaroo Island as we have always loved the sea and needed to be closer to it. In October 2017 we stood on the porch of Emu Bay Holiday Homes for the first time and were awed with the space, its sense of tranquillity and the breathtaking views. In the 10 years we have been here, we have fallen in love with island life and all it has to offer. 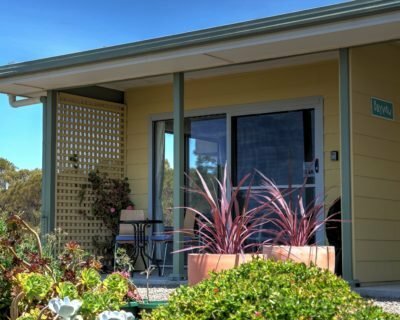 Our mission for Emu Bay Holiday Homes is to operate it in a sustainable, environmentally conscious manner. 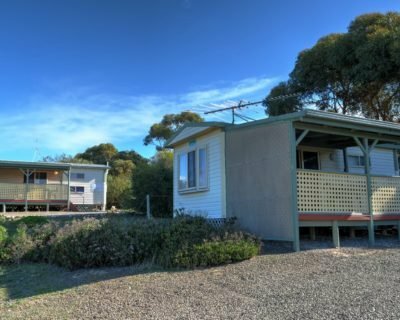 We aim to provide a consistent high standard of service though continued improvement to the accommodation and facilities, thus allowing you to sit back, relax and enjoy Emu Bay and Kangaroo Island. We endeavour to work closely with other local businesses to provide our guests the best possible KI experience. As our guests our wish for you, throughout your stay here at Emu Bay Holiday Homes, is to enjoy the same sense of peace and tranquillity we enjoy. 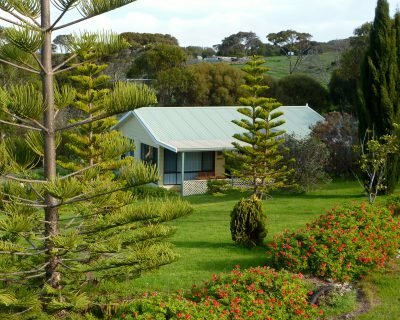 With our central location we provide a fantastic base from which to explore the very best Kangaroo Island has to offer. Allow our home to be yours, even if only for a little while. Manager: Christine is locally born with amazing organisational skills and our property manager extraordinaire. She is your first point of contact should you require any assistance. 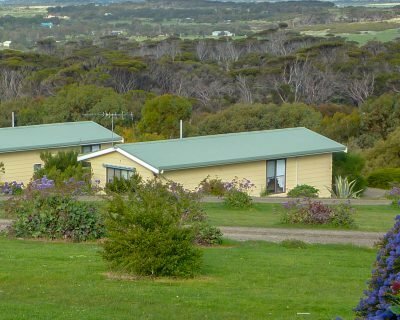 Cleaning Staff: We pride ourselves on the cleanliness of Emu Bay Holiday Homes. Any accommodation business is only as good as its cleaning staff and we value our team. They are the backbone of our business and why you will love staying at EBHH. Thank you to Grant, Peta, Liz and Sha.